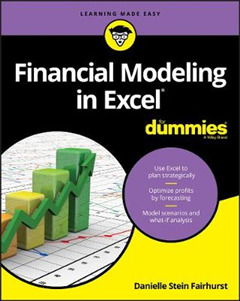 Make informed business decisions with the beginner's guide to financial modeling using Microsoft Excel Financial Modeling in Excel For Dummies is your comprehensive guide to learning how to create informative, enlightening financial models today. 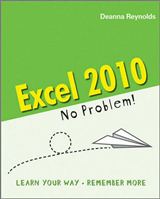 Not a math whiz or an Excel power-user? No problem! All you need is a basic understanding of Excel to start building simple models with practical hands-on exercises and before you know it, you'll be modeling your way to optimized profits for your business in no time. 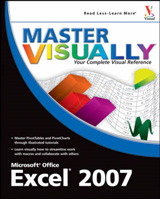 Excel is powerful, user-friendly, and is most likely already installed on your computer which is why it has so readily become the most popular financial modeling software. This book shows you how to harness Excel's capabilities to determine profitability, develop budgetary projections, model depreciation, project costs, value assets and more. You'll learn the fundamental best practices and know-how of financial modeling, and how to put them to work for your business and your clients. You'll learn the tools and techniques that bring insight out of the numbers, and make better business decisions based on quantitative evidence. You'll discover that financial modeling is an invaluable resource for your business, and you'll wonder why you've waited this long to learn how! Companies around the world use financial modeling for decision making, to steer strategy, and to develop solutions. This book walks you through the process with clear, expert guidance that assumes little prior knowledge. * Learn the six crucial rules to follow when building a successful financial model * Discover how to review and edit an inherited financial model and align it with your business and financial strategy * Solve client problems, identify market projections, and develop business strategies based on scenario analysis Create valuable customized templates models that can become a source of competitive advantage From multinational corporations to the mom-and-pop corner store, there isn't a business around that wouldn't benefit from financial modeling. 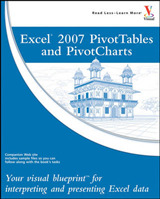 No need to buy expensive specialized software the tools you need are right there in Excel. 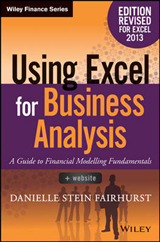 Financial Modeling in Excel For Dummies gets you up to speed quickly so you can start reaping the benefits today!